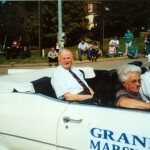 2001 Lincoln Days Parade | Lincoln Days Celebration, Inc.
Former Hodgenville Mayor R.K. Keith was the parade grand marshal for 2001. 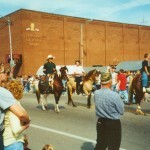 A number of horses stroll through the square. 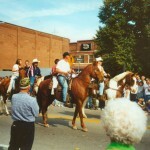 Horses are a popular entry in the parade. 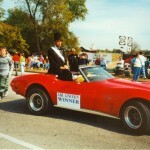 The 2001 winner of the Abraham Lincoln Look-Alike contest rides through the parade. 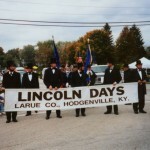 Lincoln Look-Alikes with the parade banner are about to march in the parade. 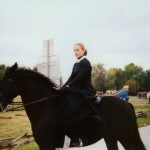 A young lady in period costume rides her horse as a solo entry.